Tokyo 2020 Olympic organisers said Friday that tests using underwater "screens" to filter water had successfully reduced bacteria at a venue for triathlon and marathon swimming. The announcement comes after organisers revealed last year that prolonged summer rain had temporarily brought high levels of bacteria into the waters in Tokyo's Odaiba Bay. Samples taken between July and September last year showed levels of e-coli bacteria more than 20 times higher than international standards, raising concerns about the safety of the venue. In a bid to reassure competitors, organisers began testing this summer a system that uses screens to effectively quarantine an event area and filter the water inside. 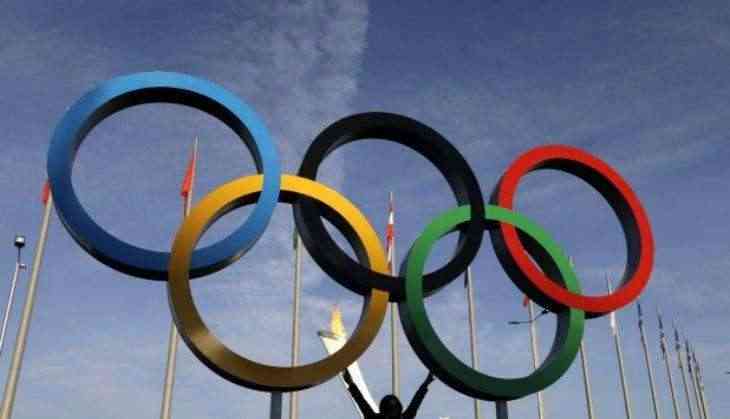 They tested the use of single and triple-layer underwater screens, reportedly 20 metres (66 feet) long and three metres wide, during July and August, when the Games will be held in 2020. "The triple-layer screens were shown to reduce the quantity of coliforms to well within targeted levels,' the organisers said in a statement. The single-layer screens also reduced levels, but not always to within the target figure. "It's obvious that triple-layer screens were effective on coliforms considered most problematic," Hidemasa Nakamura, executive director of sports unit, told reporters. "We don't know yet exactly in what forms, but we are planning to use the screens at the 2020 Games," he added. Officials said the testing process had cost 75 million yen ($660,000) and that bacteria levels in the water were higher this year because a series of typhoons had caused heavy rain and sewage runoff. John Coates, vice president of International Olympic Committee, warned during his Tokyo visit last year that the Japanese capital should prepare for the worst possible weather conditions. This year, beaches in Odaiba were opened for swimming for nine days as a trial, with the water quality checked daily.